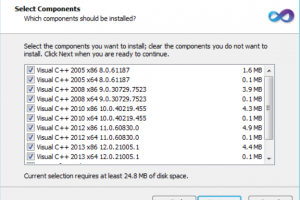 Multiple Visual C++ Runtime versions for install"
Many programs require different libraries installed, besides the main operating system. It is the case of Microsoft Visual C++ library that has many versions like 2005, 2010, 2013, 2015, 2017. 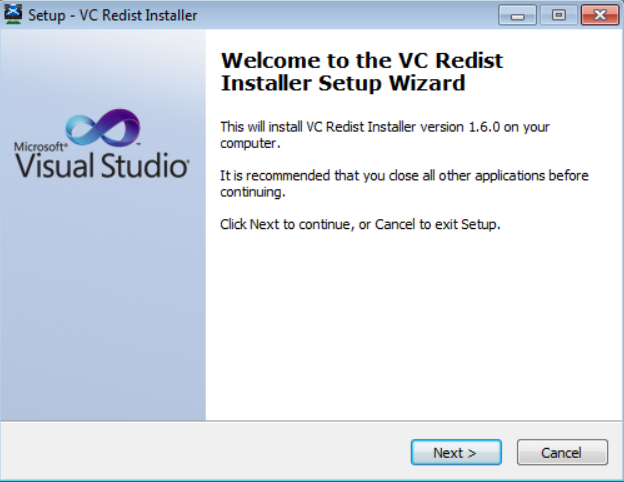 But instead searching and installing any of these versions, McRip offers the possibility to install different versions from a single interface. Programmers are going to be very familiar with this application that searches and immediately C++ runtime packages that are necessary for certain functions and programs to work. This application is made in a very specific and delicate with way such that even before an error of the package not being available occurs, it automatically searches and downloads it so that you have no issues while using some programs. 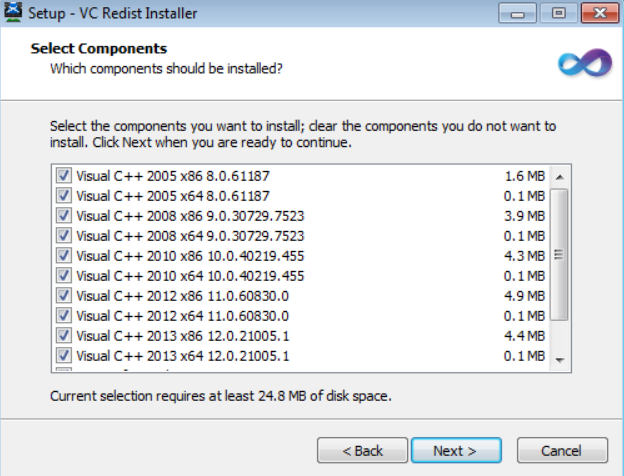 It installs Visual C++ 2005, Visual C++ 2008 x86 / x64 9.0.30729.6276, Visual C++ 2010 x86 / x64 10.0.40219, Visual C++ 2012 x86 / x64 11.0.50522, Microsoft Visual F Runtime 2.0 and Older Microsoft Runtimes for older software. 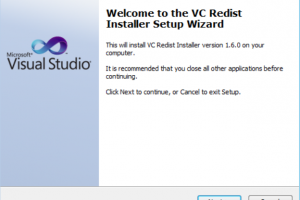 McRip VC Redist Installer is licensed as freeware for PC or laptop with Windows 32 bit and 64 bit operating system. It is in os components category and is available to all software users as a free download.